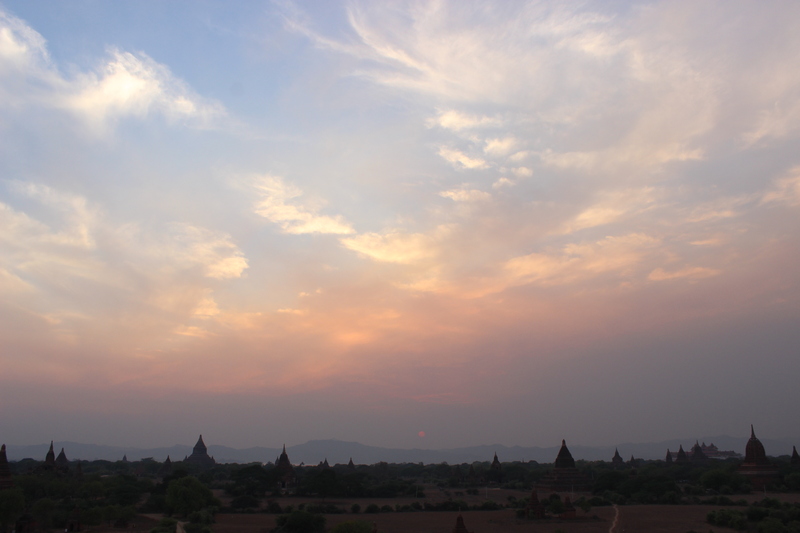 Myanmar/Burma… I found something special there, something I haven’t often (if ever) found in other places while traveling. Due to the amount of time (meaning I did not have enough of it), I only received such a slight glimpse, but enough of one to know I love the country and her people. The words that come to mind are: special, authentic, full of character, true, untainted, warm and welcoming, friendly, hospitable, generous, curious, lack of self consciousness (in a good way)… For almost 4 weeks I traveled south and north, with countless hours spent on buses, trains, and even a government ferry. I saw cities, towns, untouched beaches, forests, mountains, a beautiful lake, rice fields and tea plantations, and small villages. I ate lots of rice and curry (basically the national dish), and went to numerous smoke-filled tea shops and cafes (one of my favorite mainstays of Myanmar). I made many new friends along the way, both local and international. Here’s a glimpse of where I went, what I did, and who I met, most of it through photos and excerpts from journal entries I wrote along the way. 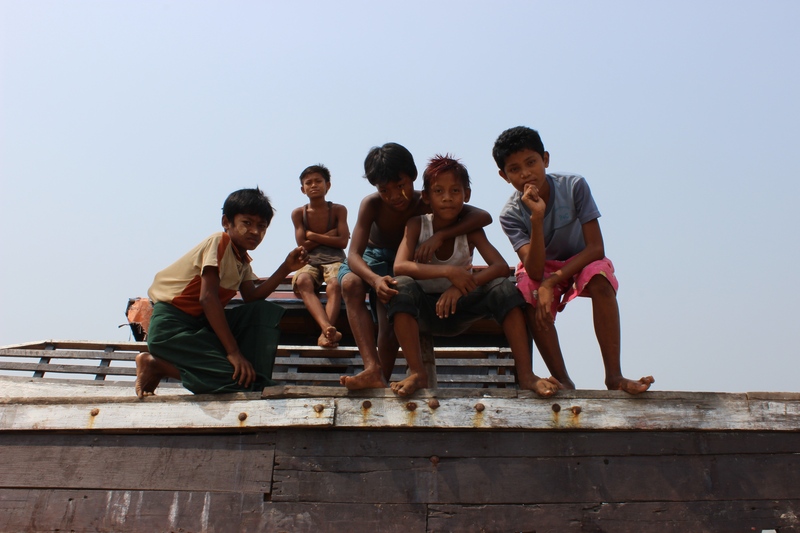 Yangon is different…in some way, genuine and authentic. I walked around a lot in the hot, sweaty weather, people watching and observing the city. I also went to one the most famous Buddhist sites: Shwedagon Pagoda. 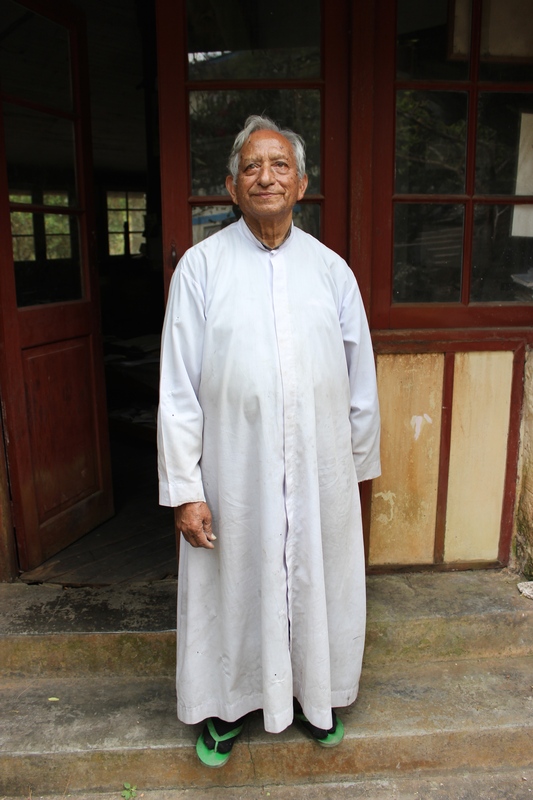 I spent a day with a new friend named Ram, who oversees a church network. I went with him and his family to a local service. 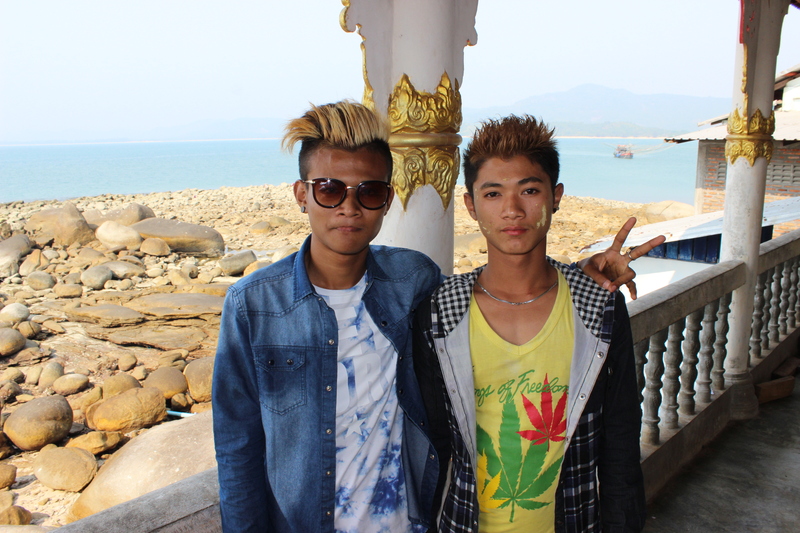 I made a new friend in Yangon, a young man named Nyi Nyi. Nyi Nyi Tun. I met this 20 year old young man where I bought my bus ticket. I asked for a good place to get coffee or tea, and after I got my ticket he offered to take me somewhere. We spent the evening together, and he bought me a coffee, dinner, and then we went to see a movie. He wants to practice his English and said I am his teacher. He’s very friendly and wants to travel/move, saying how difficult it is to make money here with how expensive things are compared to what you make. He said there’s not enough opportunity for people his age; he works from 6am to 8pm most days! He’s adamant about learning, and spends his free time learning – reading, listening to music, and watching movies. 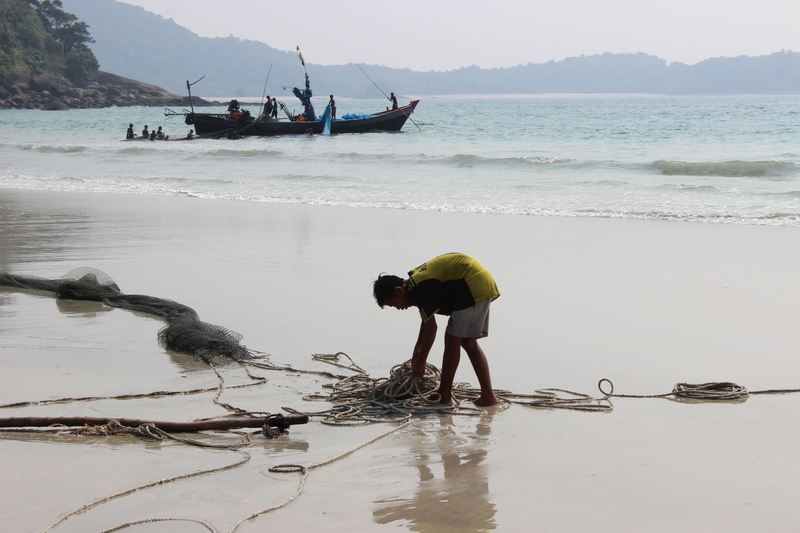 He’s determined and friendly, and I’m so thrilled to have made a Burmese friend with whom I can spend time here. 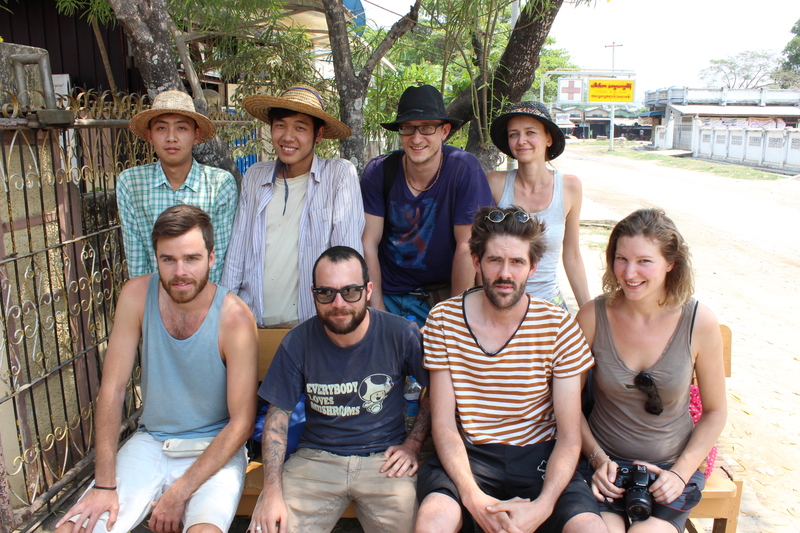 Last minute, I decided to take a 16 hour bus ride south to Dawei, a smaller town which is the near the Andaman Sea. 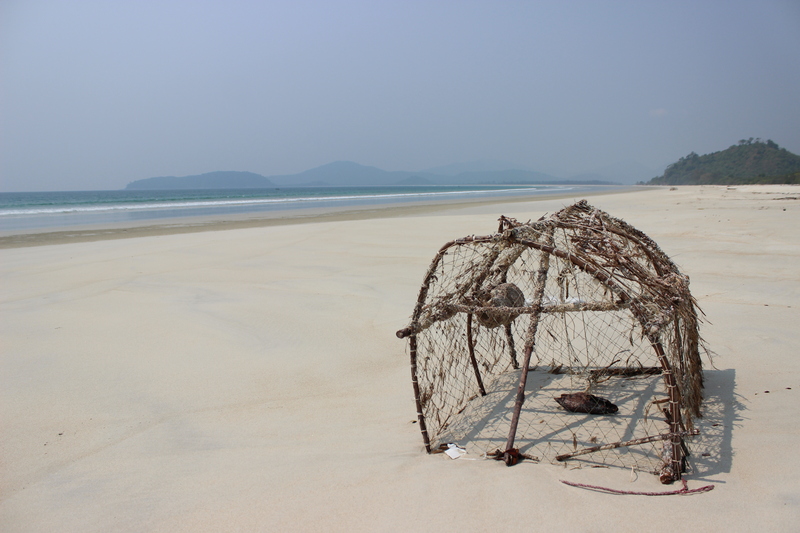 Here, I went to two beaches, one local (where I met two boys who showed me around), and another completely secluded and untouched. I met these two boys while at the local beach. 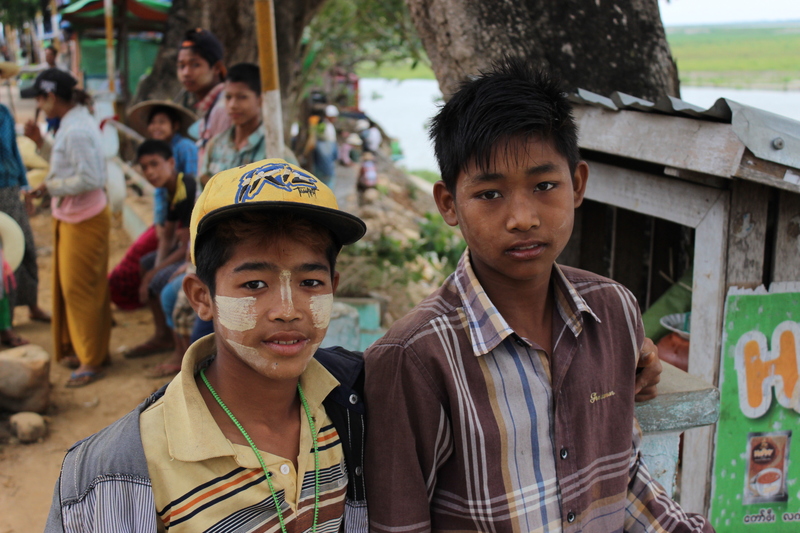 I followed them to a nice scenic spot at a pagoda. I was continually amazed at the friendliness and hospitality of locals to me, a complete stranger. 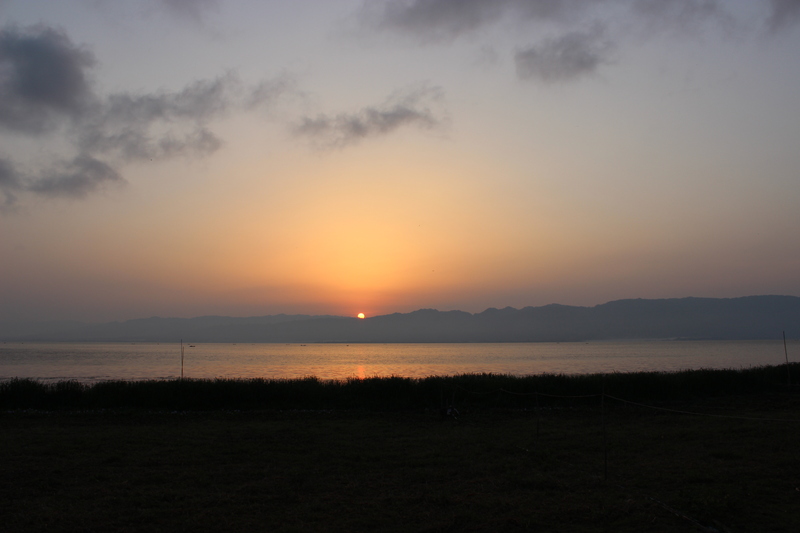 I took a 5:40am ordinary class train (which took around 8 hours) from Dawei to Ye, another smaller town not far from the coast, situated near a river. I stayed in town near a small, pretty lake. Here, I spent time around town and visited a local beach, making some more new friends along the way (including a local family who invited me into their home for dinner, some young boys at the local beach, and a man who showed me an untouched local beach where he’s thinking of developing a resort). I had the cab all to myself for a few minutes. A thick, mysterious, mystical mist covered the landscape of farms, cattle, palm trees, and wooden homes. The ambiance of the scenery was beautiful. The cab quickly filled up. The train rocks back and forth on the tracks, and it’s a rough ride, with hard, 90 degree wooden benches for seats. The brush beside the tracks swipes the cabs as the train passes, flicking moisture and fragments of vegetation. Knowing this, I suppose it’s why the ticket salesman thanked me though for taking the train. People spread out their mats on the floor of the train and eat their food. They cram in as many people as possible. There’s a mother and an adorable little girl next to me. 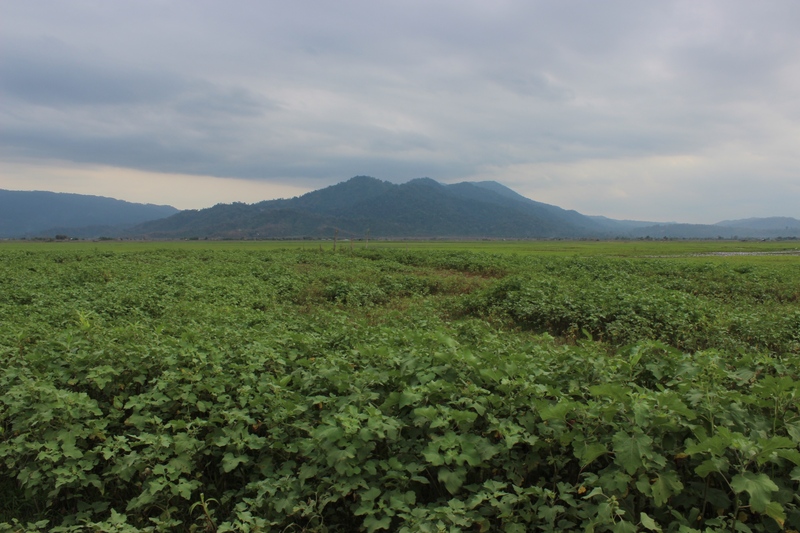 People constantly offer me food, another trace of sharing and kindness… The countryside was beautiful the entire way, and we passed farms and villages and mountains and homes. It was packed full to the brim, and just when you thought you couldn’t fit more people, more crammed in with their luggage, filling every seat and space on the floor. A little baby boy with no diaper or underwear peed into his mother’s hand. Men smoked the entire trip. I spent a lot of time “talking” to a little girl next to me. I showed her my pictures and we practiced Burmese. She was precious, to die for, as were the many other little children aboard. The lady next to me gave me some rice for lunch, and the little girl bought me a frozen popsicle. Amazing. I am continually amazed by the generosity of those I come in contact with. 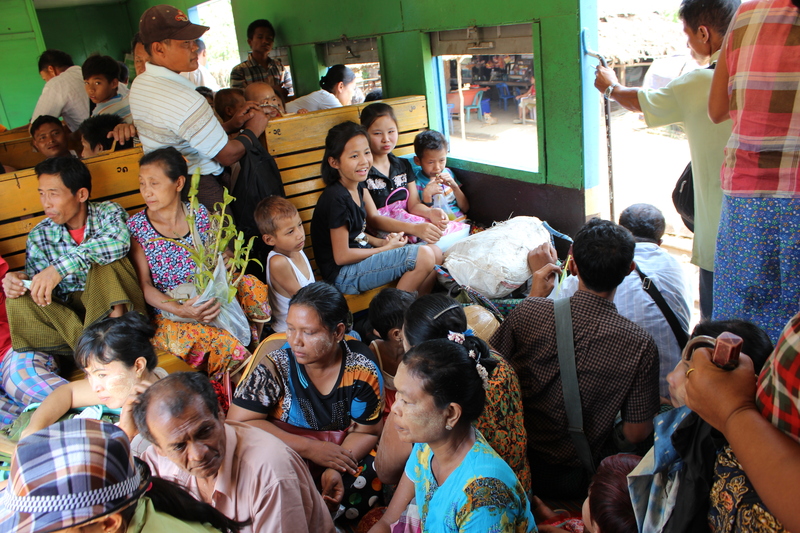 It was such a worthwhile experience taking the train, sitting with locals, and observing them. It’s these moments that I’ll remember and cherish, taking them with me and holding them close to my heart. I’m so honored to be here, and I’m falling in love with this country and her people more and more. 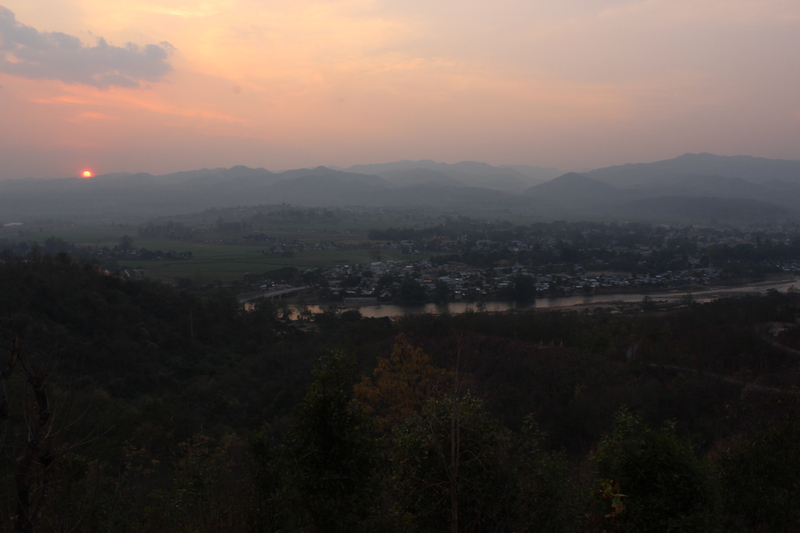 In Hpa-An I rented a motorbike and explored the area, which contains some beautiful limestone mountain chains. 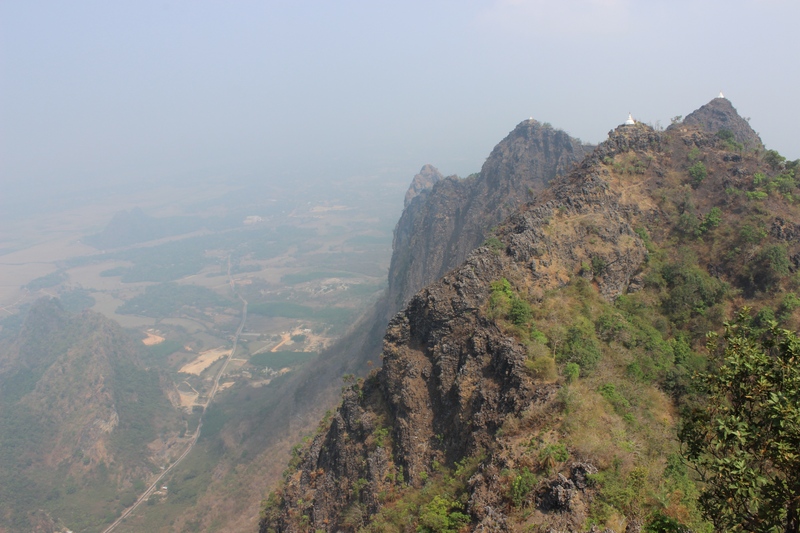 I climbed the steps to the top of two mountains, one smaller and another quite large (Mt. 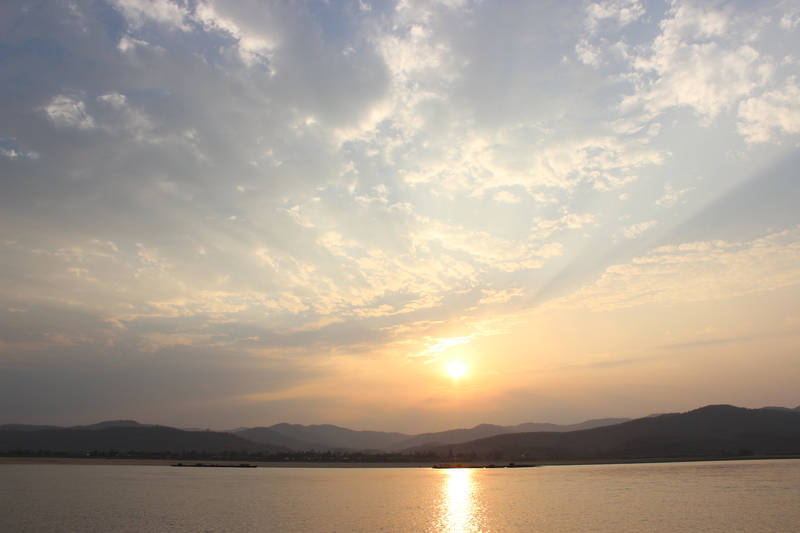 Zwegabin, a famous local mountain), went to some caves, and enjoyed the scenery. …I walked the countless steps to Mt. Zwegabin this morning, dripping with sweat through and through. It was unbelievably hot. 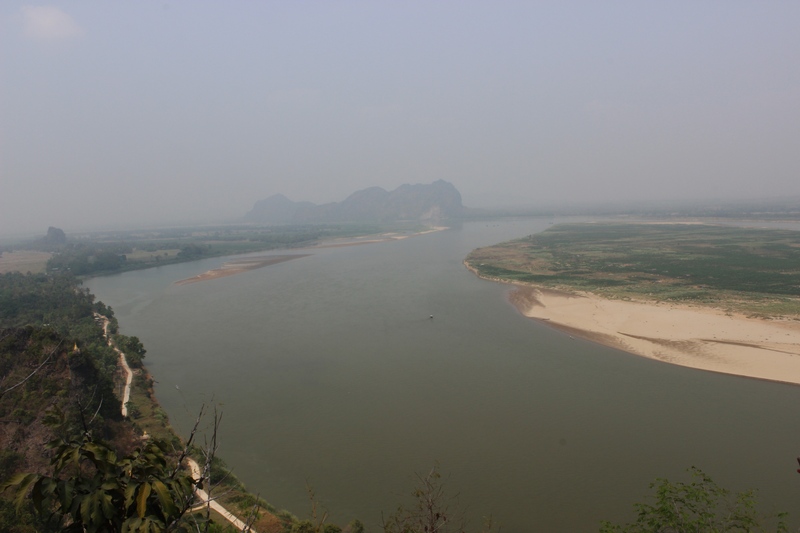 I could see the limestone mountains and some of the landscape below. A pagoda was (of course) on top with quite a few locals. It was a beautiful view. 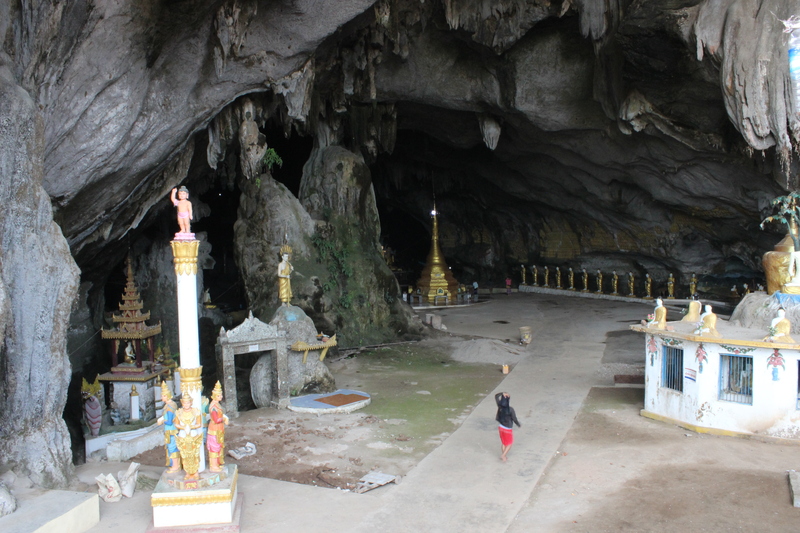 I had some locals take quite a few pictures with me, as well as at the caves. They take your hand, get real close, and love having their picture taken with a foreigner. It’s very amusing. Saddar cave was huge and nice, filled with statues and stupas and images. The bad thing is you have to be barefoot, which means walking over bat excrement, with a suffocating smell. There mostly locals and I only saw 2 foreigners. 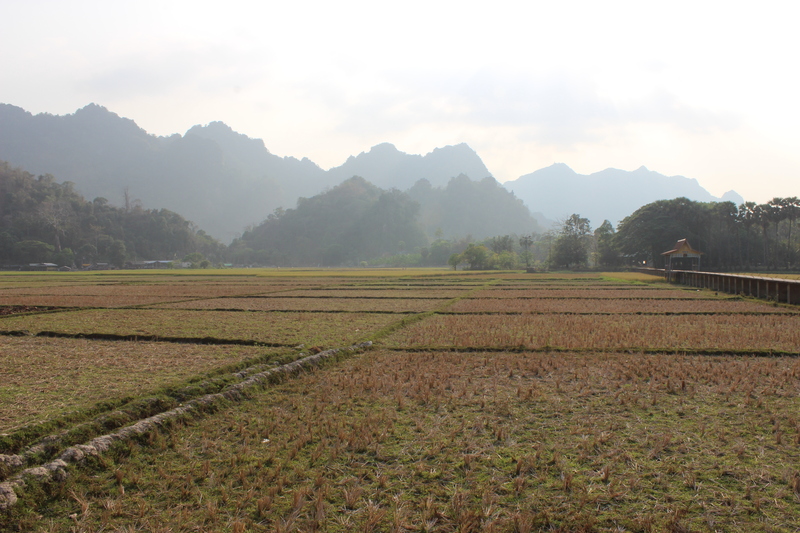 The drive around the area was beautiful, with fields and limestone mountains. 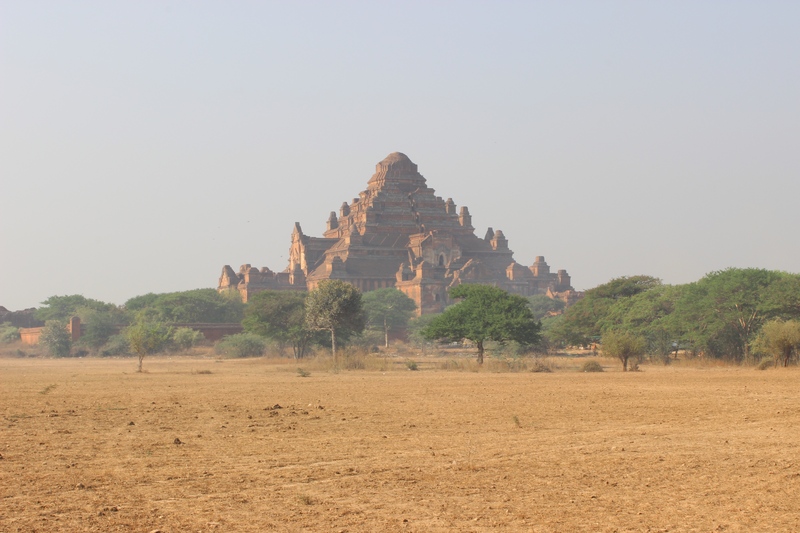 Bagan is one of the main tourist areas of Myanmar, and for good reason. Pagodas built nearly a thousand years ago (by the monarchy after converting to Buddhism) dot the landscape all around, creating an impressive sight. Inside a near thousand year old pagoda. 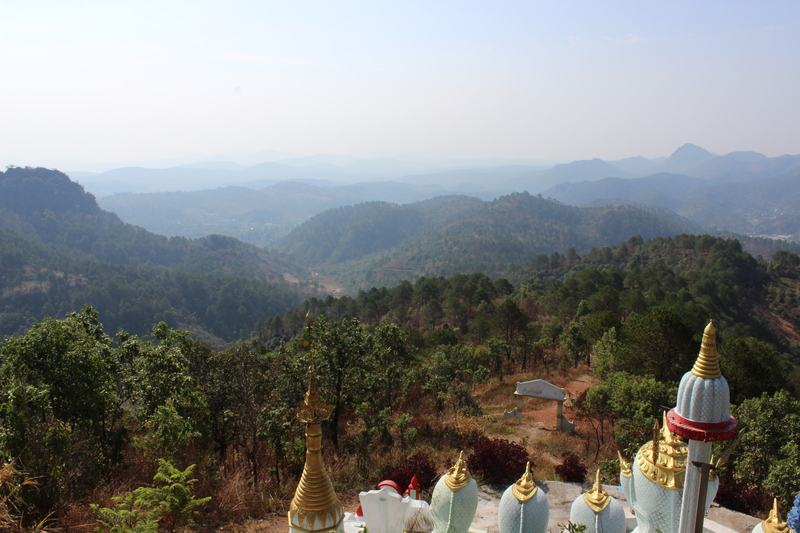 Kalaw is a quaint town situated in a valley below surrounding mountains. It was an escape from the heat and I spent the time exploring the town and its surrounds, visiting some local church buildings (Anglican, Catholic and Baptist) and finding some great views. 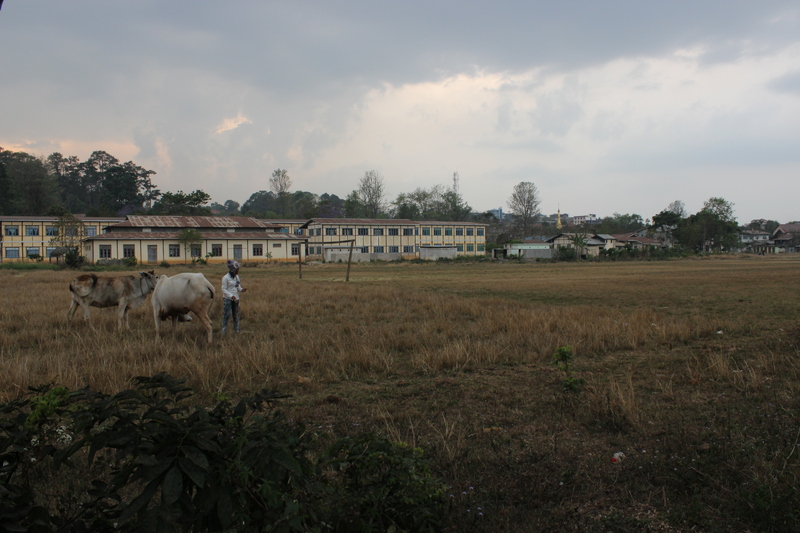 I’m walking the pine rowed quiet streets away from Kalaw. There are many remnants of churches (Anglican and Catholic), I assume from past missionary endeavors. They are like (or were) little beacons of hope. I am not sure if their light still shines. But here the air is cool and the streets quiet, the view calming. I suppose coming into a building set apart for the adoration of Christ makes me emotional. 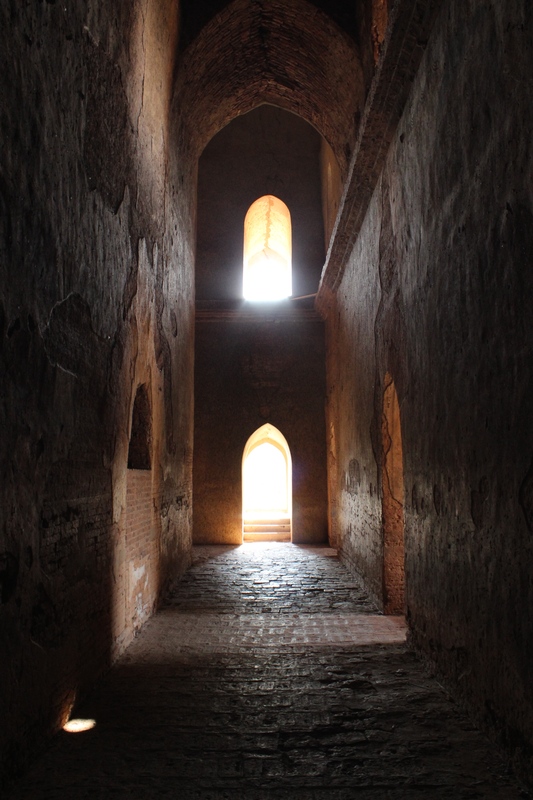 A neglected place dedicated to worshiping the savior has far more significance for me than all the pagodas of Bagan or Myanmar, and all the temples of Thailand. There is only darkness and death in those places, a heaviness that I realize only now; I know that now that I’m in a place of light and life, bringing freedom. 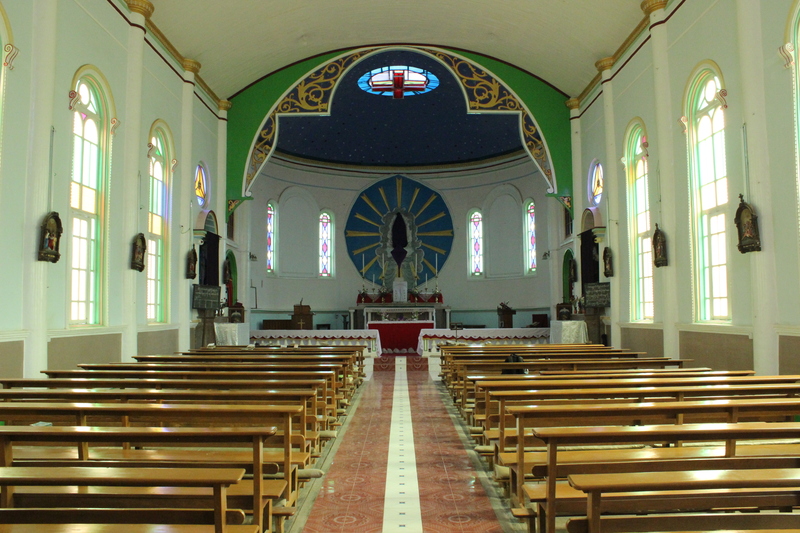 This empty church is more holy than all the places of worship for all religions. Something stirs in my soul as I examine the pictures and words capturing the death of Christ. After only seeing false idols and false worship for so long, to see the truth again is captivating. There is no story or depiction of Buddha dying for all humanity; of him suffering what Christ did for all humanity. Buddha sacrificed his life of luxury and sought enlightenment only for himself; Christ did not become man, suffer, and die for himself, but for us. It was an external, all inclusive act. Buddha’s was merely internal and exclusively for himself. Christ was already God, already the perfect, enlightened one, who stepped down into the world. Buddha was a man, never God, never perfect, never stepping down from the holiest of holies into the world as Christ did. 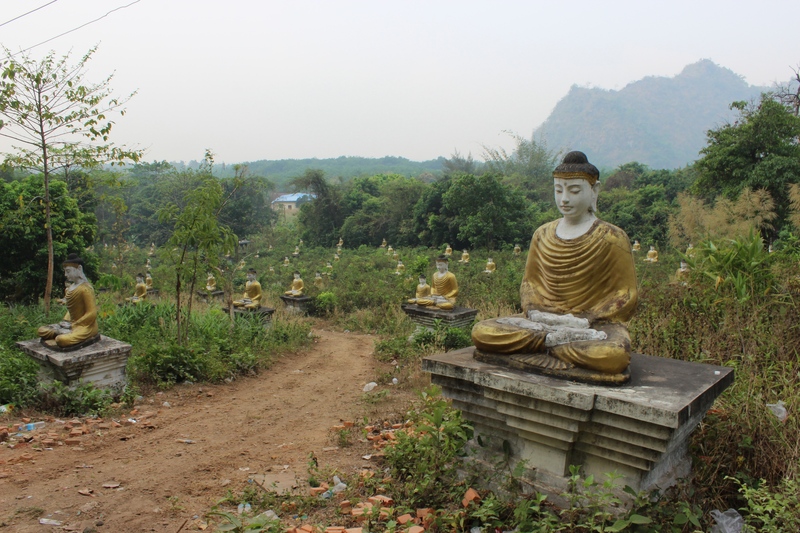 There is no hope in Buddha, because he is dead, and Buddhists are left to their own efforts for enlightenment. There is hope in Christ, because he is alive, and has given the gift of enlightenment through himself alone. I am reminded of the gospel. So I begin everything with adoration, and end everything in adoration. At Christ the King church I met the father. He’s been here 12 years, and has been a Christian for 30, converting through witnessing the lives of missionaries. He has a gentle appearance, gray hair and speaks good English. There was such a fatherly, peaceful presence about him. We spoke for a few minutes about his country, democracy, and the bittersweet pill of westernization. How it will open the door wider to materialism, stinginess, the coldness of individuality, skimpy clothing, and other negatives. People see the westerners, and begin to imitate them. He said how people here are generous, hospitable, communal, and helpful. It will go from Buddhism to materialism. 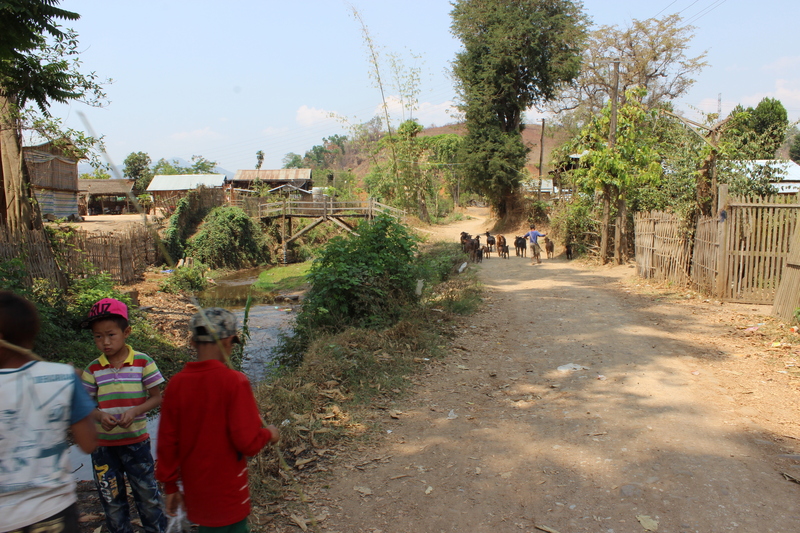 Some village children don’t go to school because they (have to) work, or just have no incentive to go. 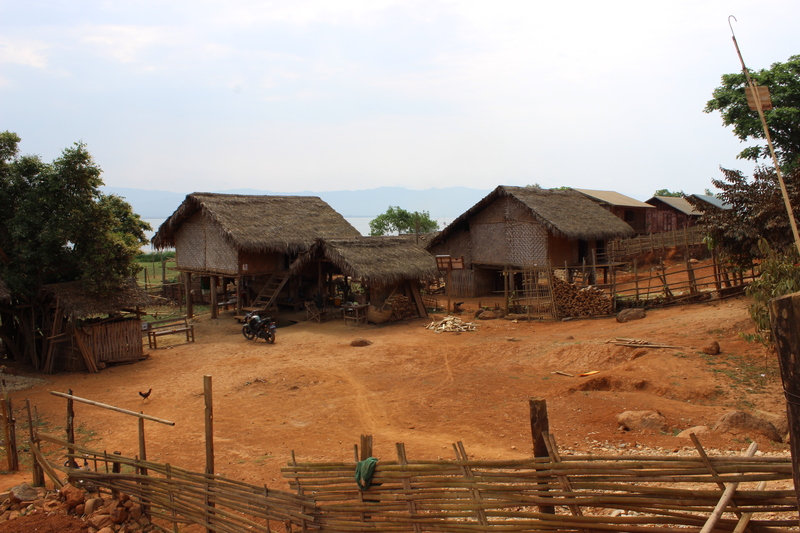 Many people leave Kalaw for bigger cities due to the lack of work. The highest percentage of Christians are in the outlying areas (minority ethnics groups?). I don’t know why, but I was so captivated by this priest in a white robe, with such a calm, loving spirit about him. One who undoubtably finds it hard to do what he does some days. It was a special moment for me, at that place, with this man. I felt the presence and peace of God. I went to another small, quaint northern town. I explored and did a 2 night, 3 day trek with a wonderful group of six other people (from Italy, France, Germany, and Lithuania) and two local guides. 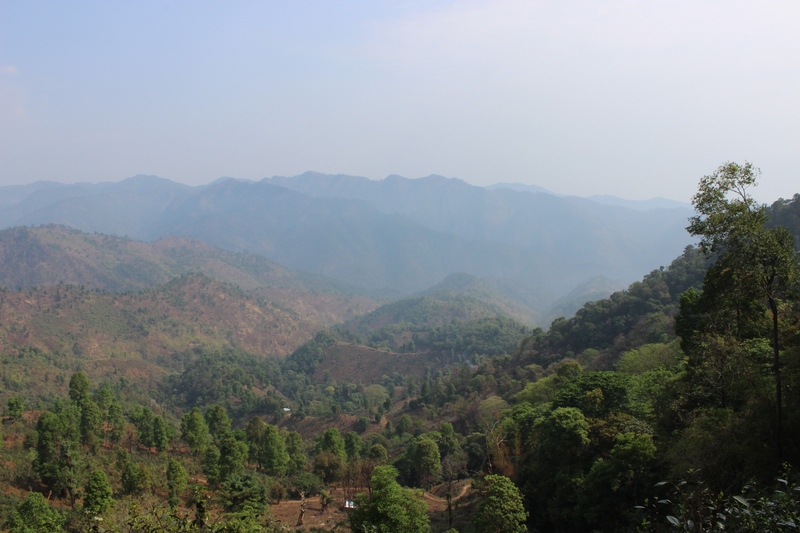 We stayed the night in two local Paulong villages in the mountains, which are known for the growing of green tea leaves. 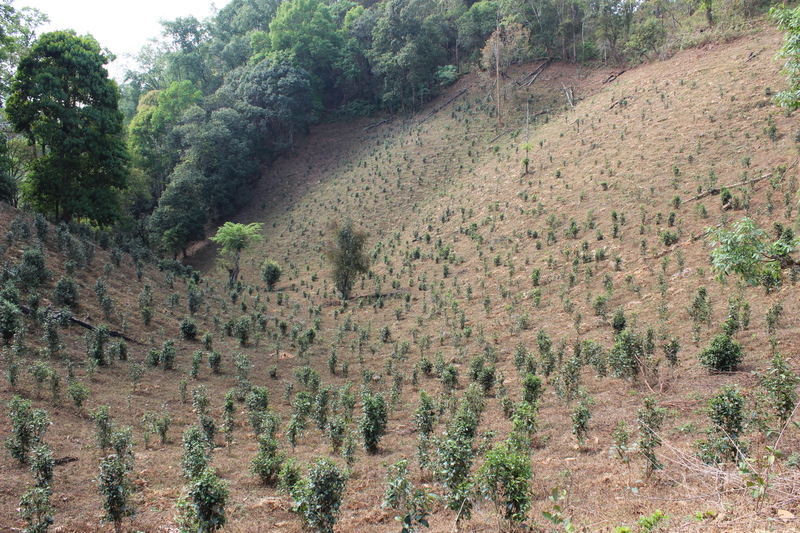 On day two, the views were very beautiful from the high ridge of the mountains and tea plantations. Watching men, women, and children pick tea leaves and carry large baskets is fascinating. Observing village life is intriguing. Up in the mountains away from the rest of the world, living simplistic lives, yet with rebel armies and fighting so close… Such an interesting country with wonderful people, though with a difficult story. It was a long, tiring trip from Hsipaw to my next location, including two ordinary class trains (12 hour and 14 hour rides), and a 12 hour overnight wait in the Mandalay train station in between. After the final 2 hour trip from the last train station on a lifted pickup, I arrived at one of the most beautiful and peaceful locations of my entire trip – Indawgyi Lake. My guesthouse was right on the lake, with the perfect view. I spent a day driving motorbike around the lake, passing through many unspoiled local villages and farmland (thanks to the very limited number of tourists who visit). The photos speak for themselves. I’ve spent the day driving motorbike all around the lake, and it’s been incredible. 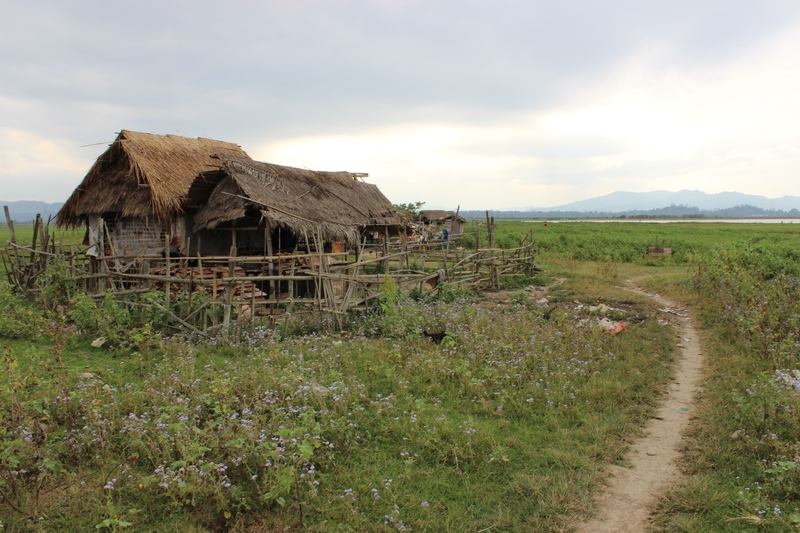 All along are small villages, untouched by tourism, some which I stopped at to walk around and take photos, with stilted homes and farms surrounding the lake and below the mountains on both sides. Cattle graze and roam in the fields. People aren’t used to seeing too many tourists so many stare as I drive past. I stopped for food at what I thought was a small restaurant and was invited into a home to eat lunch, surrounded by some locals. We communicated as best we could, laughing all the while. I ate and a woman fanned me as I did so. Such amazing hospitality and kindness from strangers. Of course they wouldn’t accept money. I took a photo and a woman led me by the arm as a mother would to her home as well and showed me photos of her son, who is a monk. What an experience, one which I’m so thankful for. This place is so authentic and purely local. Many must be farmers. Cattle are herded along the road, their bells clinging around their necks as they walk. It’s so open, peaceful and serene here, yet rugged in a sense. It’s cloudy today, and the mountains are gray against a dark sky, with patches of light shining in rays through the clouds. 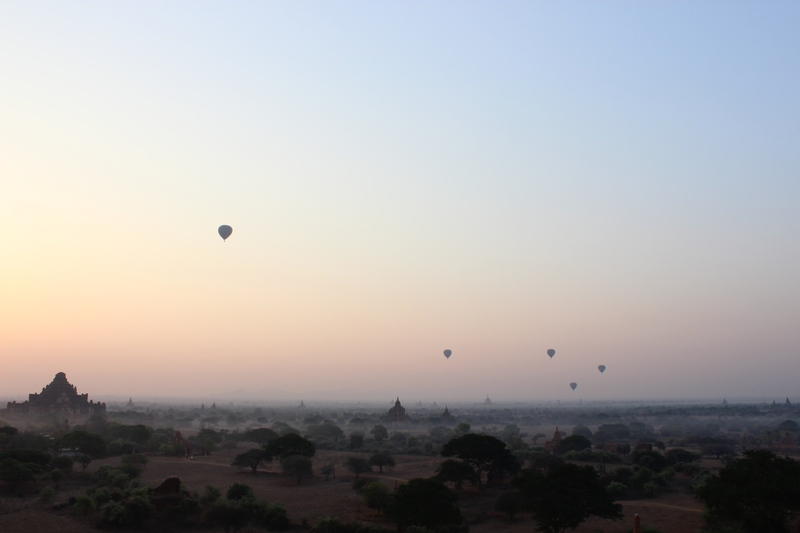 I took my last train ride down to my last stop – Katha. 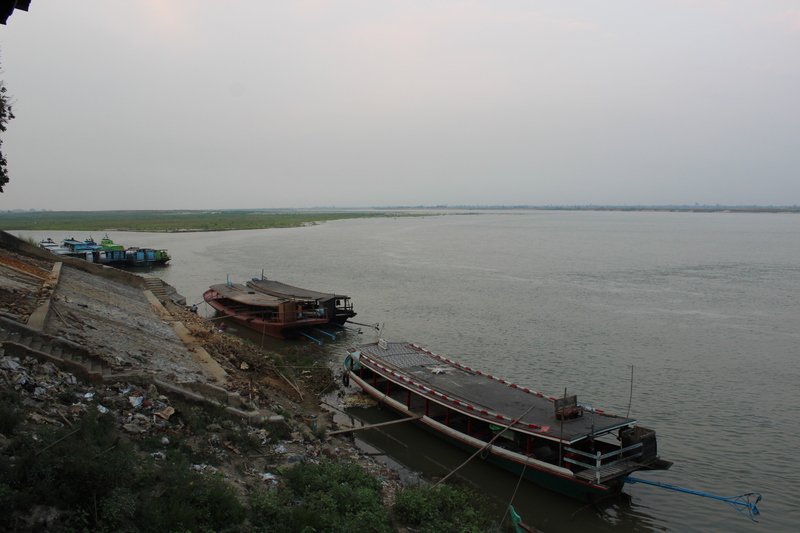 It’s another small yet lively town, along the Ayeyarwady River. I spent most of my time walking around and going tea shops and cafes (a favorite pastime of mine while in Myanmar) with a friend I met along the way. 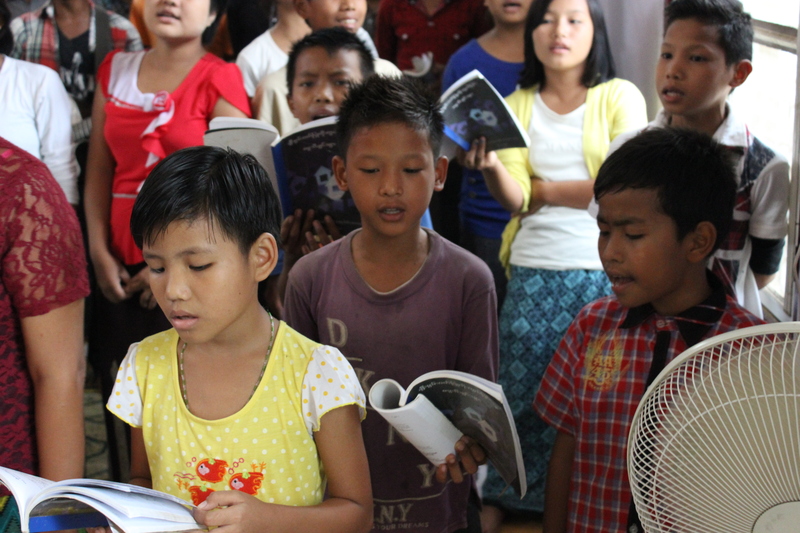 From Katha, it was a long, tiring, gritty journey back to Thailand. 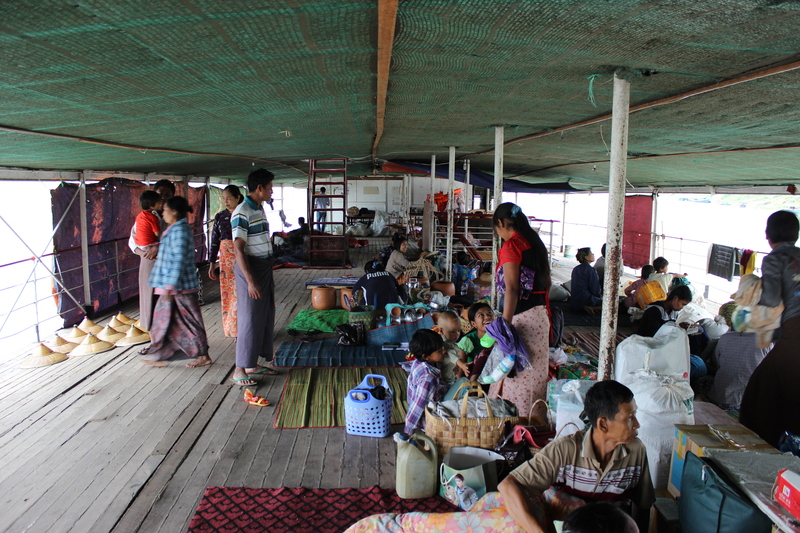 A friend and I decided to take the government ferry with the locals to Mandalay, which ended up being a 48 hour trip, including sleeping on the hard, wooden deck (however, the view from the river was fantastic). 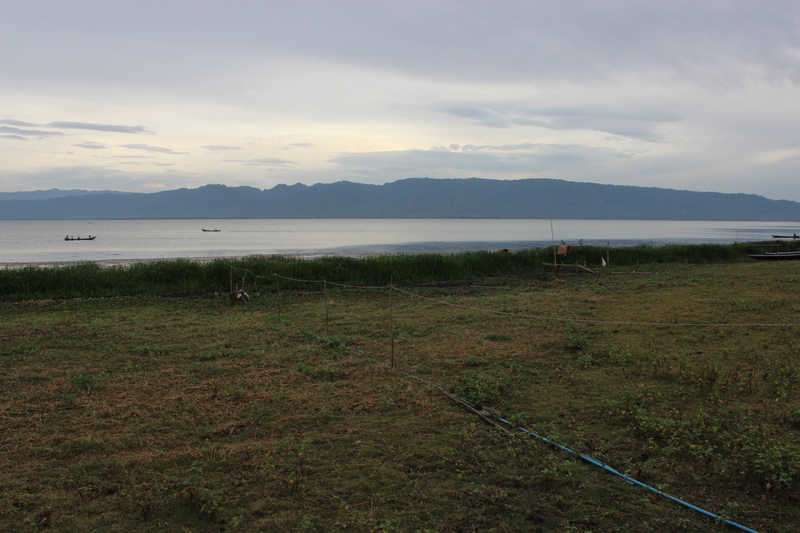 From there, it was a night bus, all day in an airport, a flight, another night bus, then finally arrival in Phayao.